Emma and The Doctor. 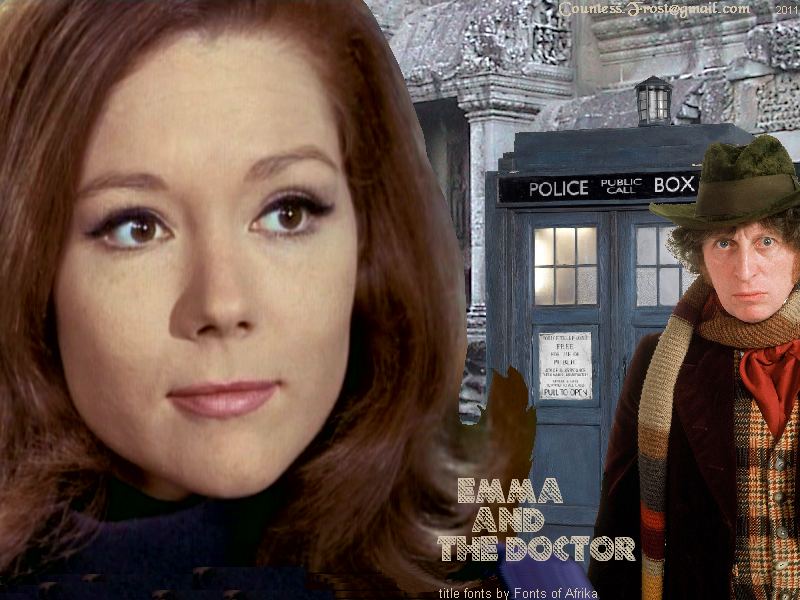 'Emma and The Doctor' - created দ্বারা TheCountess, a crossover দেওয়ালপত্র of Doctor Who and The Avengers TV shows with the Fourth Doctor (Tom Baker) and Emma Peel (Diana Rigg). 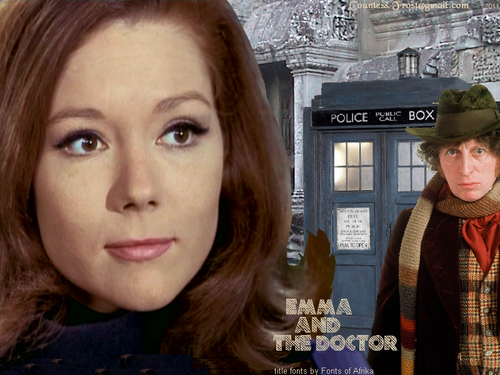 HD Wallpaper and background images in the ডক্টর হু club tagged: emma peel diana rigg the avengers doctor who the fourth doctor tom baker tv show fan art wallpaper thecountess. This ডক্টর হু wallpaper contains outerwear and overclothes. There might also be রাস্তায়, শহর দৃশ্য, শহুরে, সাইন, পোস্টার, টেক্সট, চকবোর্ড, and ঘোমটা.